I’ve finally managed to write out a new pattern! It’s free, and for an Infinity Scarf, my first. 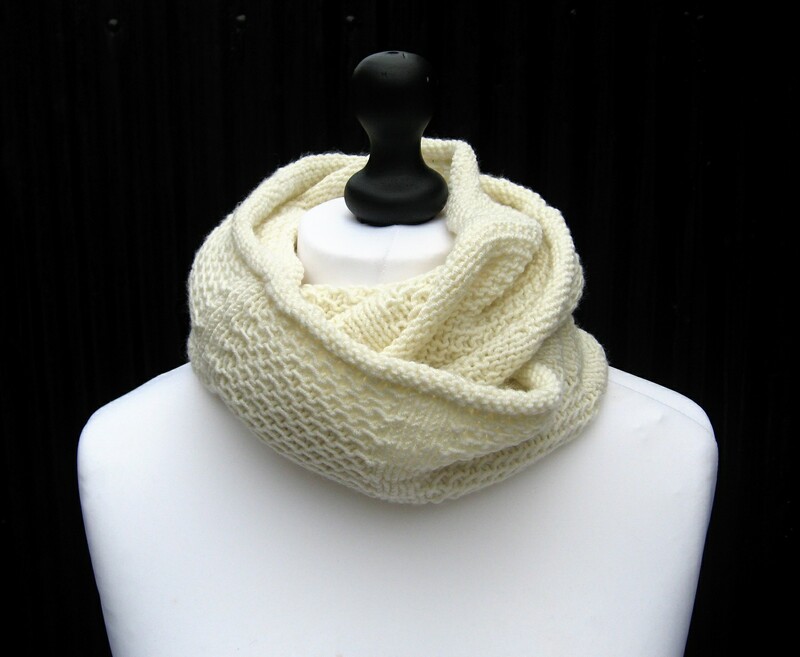 It’s a warm and cosy cowl or scarf made from a lovely bamboo blend yarn. It’s long enough to wrap twice around you neck, but not so long when a single loop it won’t keep your front warm. 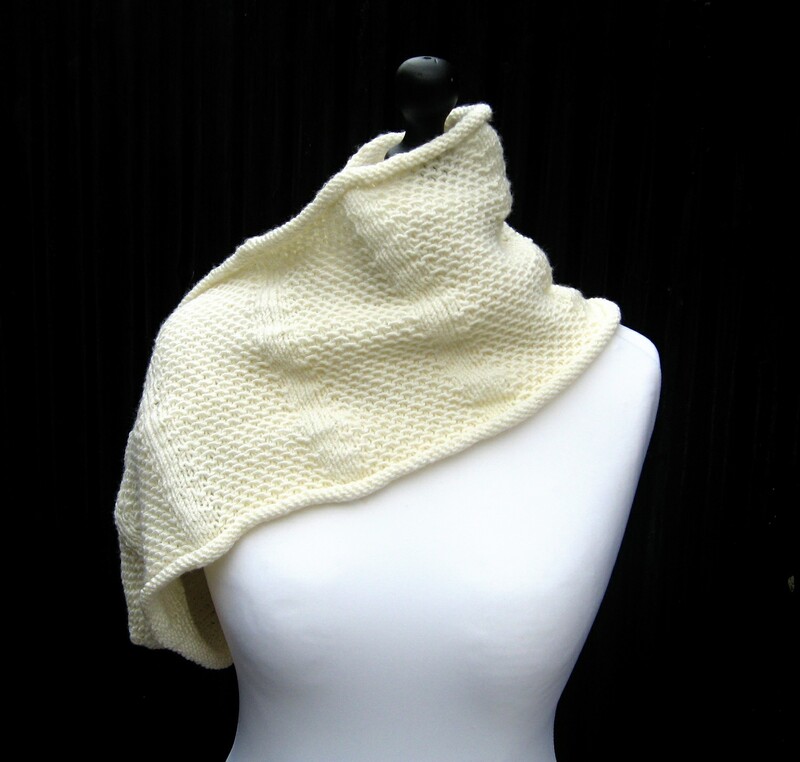 It’s based on a simple 4 row repeat with only 3 stitches, so anyone can knit it up! You can get the yarn here in my yarn store. Here’s a photo of Susan wearing her version of this infinity scarf. She made it with Debbie Bliss Cashmerino from her stash and is narrower than the pattern calls for, as she didn’t have enough yarn to complete a larger size. It looks great on you, Susan! Susan in her Waves Cowl! Could you explain the wave pattern stitch for me (wyif) Please. Please do send me a photo when you’ve finished – I’d love to see it! Wow! 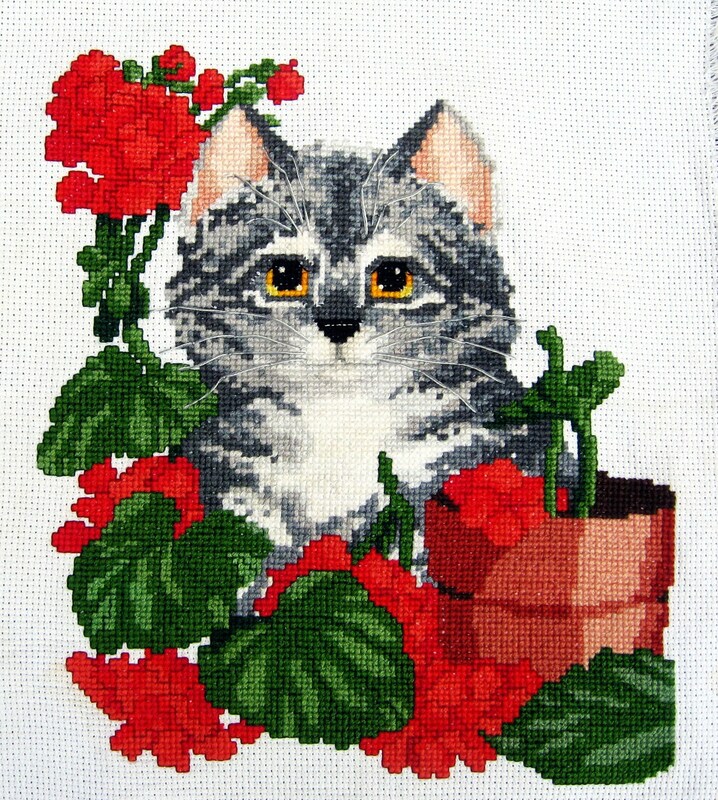 10,000 downloads for this pattern! 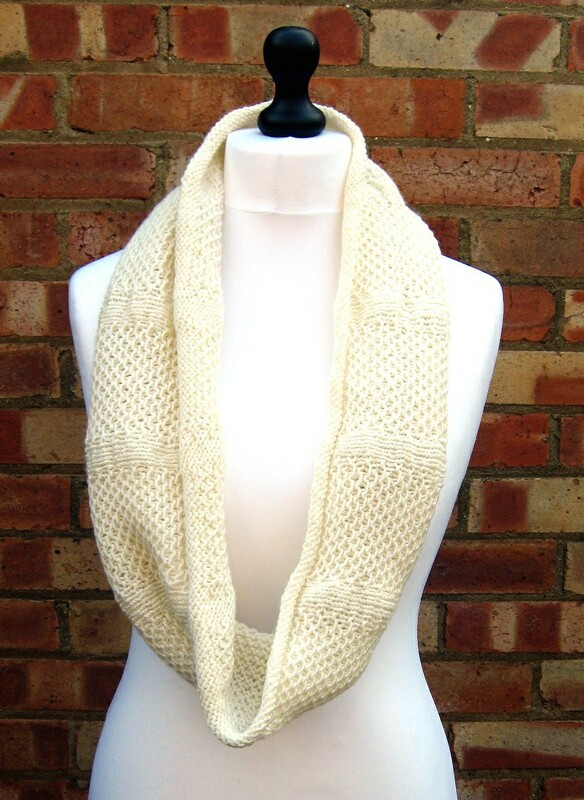 There are some gorgeous examples on the Ravelry Pattern page – take a look! Do you have a hat pattern or mitts in the wave stitch to match?? I plan on adding a handwarmer pattern eventually! How would I add a picture to this? Hi – I’d love to see it! You can add a photo to the ravelry pattern entry or you can email me a photo to looking(dot)glass(dot)designs(dot)12(at)gmail(dot)com. Love this pattern! I made mine in Debbie Bliss Cashmerino, and it’s so soft around my neck! It was stash that I had, so I made mine narrower than the pattern calls for, because I knew I wouldn’t have enough yarn to complete the larger size. Hi, I am a bit confused on the pattern row 2. I must be doing something wrong as I end up with 7 stitches on my needle? Am I reading the pattern incorrectly? Hello – The pattern is on Ravelry, click on the link and it will take you there to download a PDF.